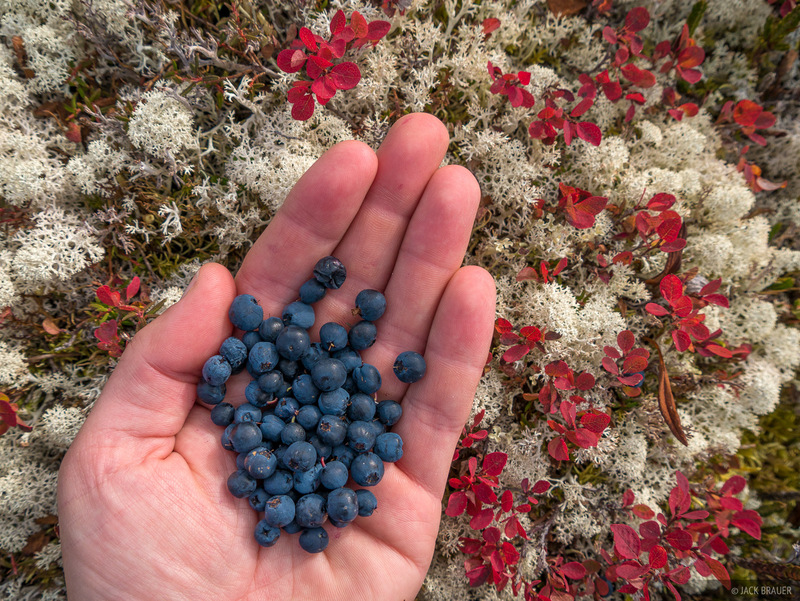 The autumn tundra bursting with delicious wild blueberries. In order to pack light for this trip, we probably didn't bring quite enough food; we were rationing each M&M with great care. So it was a pleasant surprise to gorge ourselves on ripe blueberries! Don't worry, we left some for the bears.